If you have always wanted to attend a Tour/Seminar at The Venus Project center in Venus, Florida, this is a perfect time to do that since we have lowered the price for a limited time. We invite you to join our Transcription Team to transcribe educational materials. 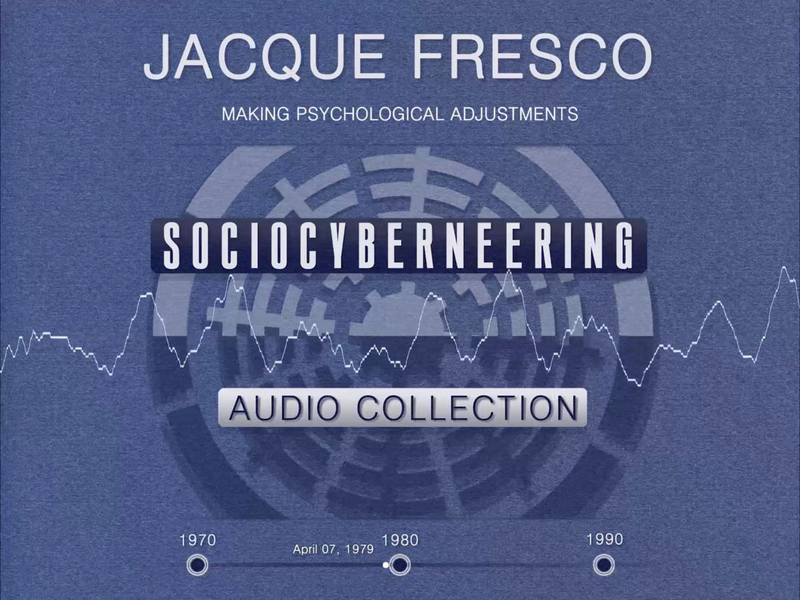 We are also pleased to offer another audio lecture by Jacque Fresco in three different formats. And we are also offering you a new free audio lecture with scrolling transcript. This is an opportunity to visit The Venus Project at a reduced price which is available from February 19th through May 19th. You have the advantage of an informal, friendly setting to discuss and learn first-hand about this bold new social direction, ask as many questions as you like, take photos, walk the lush grounds, experience and learn about the construction techniques and designs while getting explanations about the hundreds of models depicting a Resource Based Economy. If you have any questions about the Tours, please call us at +1-863-465-0321 or write us at [email protected] or to sign up for a tour go here. The Transcription Team is dedicated to transcribing a collection of lectures given by Jacque Fresco since 1969. These lectures and transcripts are used as educational products, as seen in this newsletter. The lectures include interdisciplinary insights into the workings of human behavior, psychology and nervous system; diagnoses of social problems from a scientific and functional ethics point of view; perspectives and possibilities for the future of the human species; many hypotheses about building an alternative social system; the methodology of science and technology and how to think technically; problem solving and the processes of creativity and invention; and a very large variety of other topics. Information extracted from these transcripts also contributes to the development of our two higher-priority projects, the Center for Resource Management and a science fiction transmedia IP. In this lecture, Jacque Fresco explores the causes and consequences of conforming to an unsane culture. Fresco begins with investigating whether people can really be ‘aware’ of anything. Throughout most of this lecture, Fresco explores why members of a culture conform to expectations of friends, family, and institutions. He describes the difficulty of escaping the complications that arise when a person is pulled between their own needs and playing the games of culture. Fresco criticizes the errors and follies of conventional thinking that produce superstition and disappointment and warns against looking for ‘justice’ and relying on ‘hope’ to make life better. Fresco accounts for the widespread fear of change, the risks of personal experimentation, and the preference of most people to stay safe and comfortable. He suggests a way to resist cultural expectations while maintaining a sense of sanity. A video trailer can also be viewed at the above links. In this lecture, Jacque Fresco examines the subject of making appropriate adjustments to new conditions. On the one hand are physiological adjustments people make when physical conditions change. On the other hand are psychological adjustments we make when relating to other people. Fresco explains how physiological adjustments to new physical conditions are easier and more automatic and explains why making psychological adjustments when communicating is much more difficult. Fresco further considers how having information and predictability can help a person in making psychological adjustments. To automatically receive these monthly updates, sign up to our newsletter below.